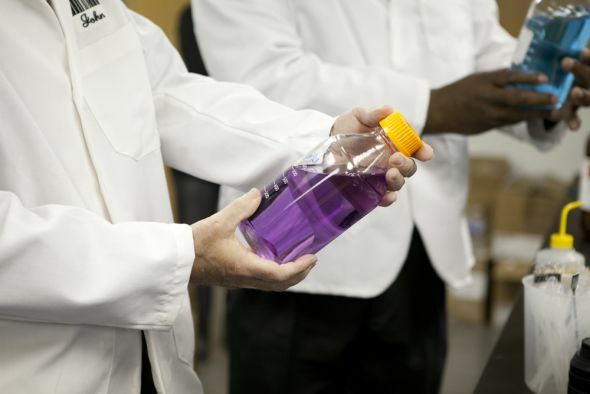 Our state-of-the-art R&D lab is operated by a team of experienced chemists. This valuable asset provides an array of services to ensure we develop products to your specifications; whether we’re formulating new products, matching benchmark formulas, or altering one from our own library of over 600 formulas. At Canberra we develop, test, validate, and manufacture commercial cleaning and skin care products.